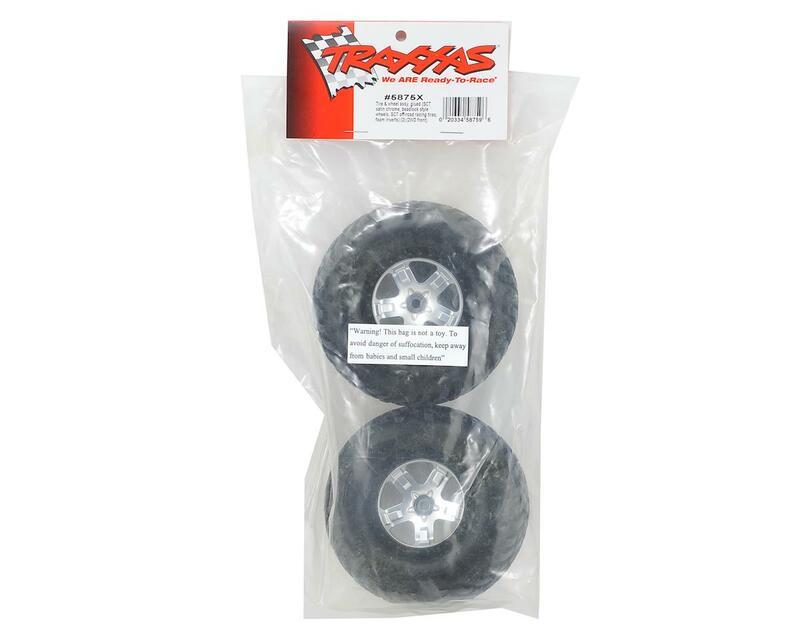 This is a pack of two Traxxas 2.2/3.0 Pre-Mounted SCT Front Wheels & Tires. Add instant "beadlock" style to your Slash. The beadlock trim color is molded for good looks that last, while the satin-chrome center section provides the perfect contrast. Available in standard "hard' and race proven "S1" soft compounds to suit a variety of conditions. 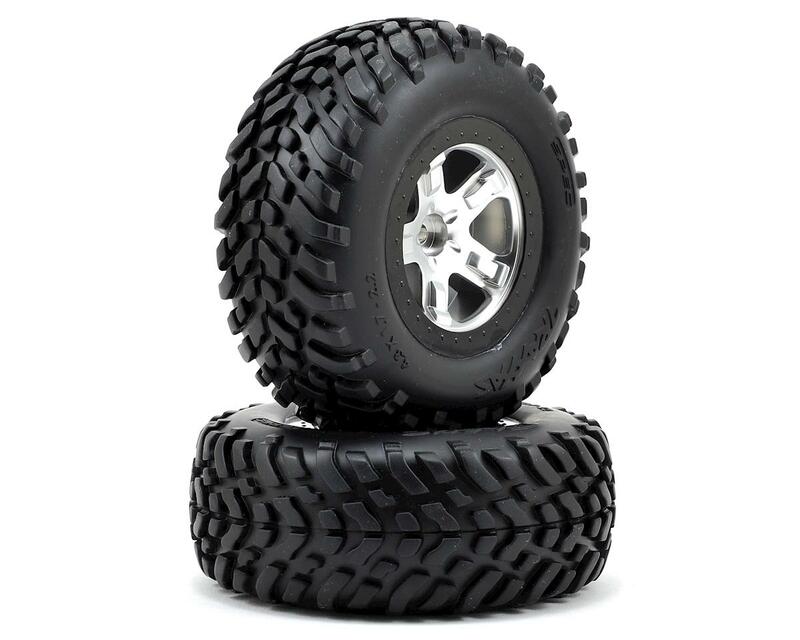 Standard compound is a long wearing rubber blend that will stand up to abuse on concrete and pavement, while S1 compound delivers precise steering and is ideal for improving front end grip on the 2WD Slash.